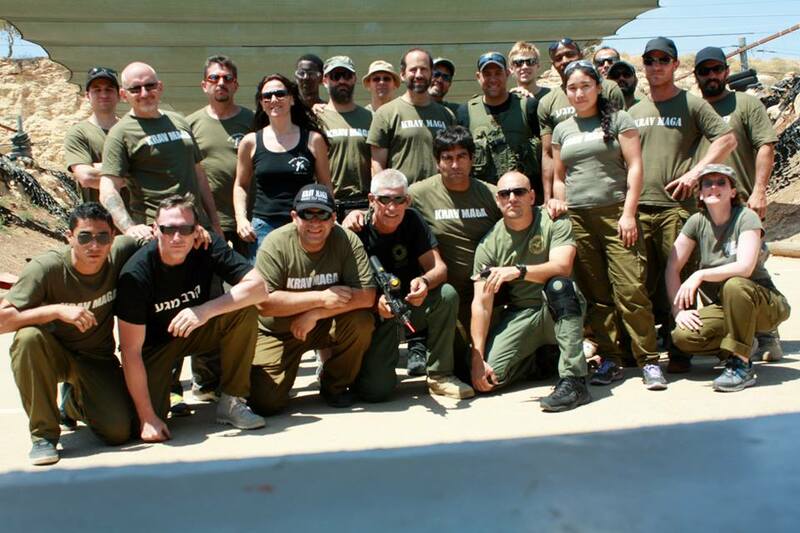 Israeli Krav International (IKI) offers an intensive but user friendly Krav Maga course suitable for all levels. We find that a blend of advanced practitioners including high level instructors, with beginners as well as students from other styles, helps to develop a unique program. Each participant develops at their own rate and their pace. We take a personal approach and each participant is seen as an individual with their own needs. We address those needs. While the program is in English we can manage with French, Spanish, Italian, Portuguese, German and Dutch, and of course Hebrew. You will learn the fundamentals of Krav Maga and its many applications. Defense vs Knife threats, knife attacks, axes and other objects. How to handle Hostage situations. Combatives and Israeli Combat Spirit. The basic course is ten full days however it is actually a little bit longer plus there are options for extensions. Our first official day of training is a Monday morning and we continue through Friday afternoon. We break on Friday afternoon for the Sabbath. The Sabbath/Shabbat/Saturday is a day where you can either hang out at your place and rest or join us for religious services, or just join us for a group lunch in the Sabbath spirit. Saturday night we have additional optional training. As such this is brings us to 11 days of training. The Sunday before our official start is an Orientation Day. We expect you to arrive by this Sunday at the latest. On Sunday you will check into your rooms, meet your hosts, and settle in. We will take you shopping for food. We will take you to a fair money changing place and we will help you in any way that is necessary. Sunday night we have our regular Krav Maga lesson with our local group and you are invited to join us for that. Thus you already have another additional training session. There is also the option of arriving early for extra training, or extending your trip and staying later. At the moment we hold our camp twice per year, November and June. 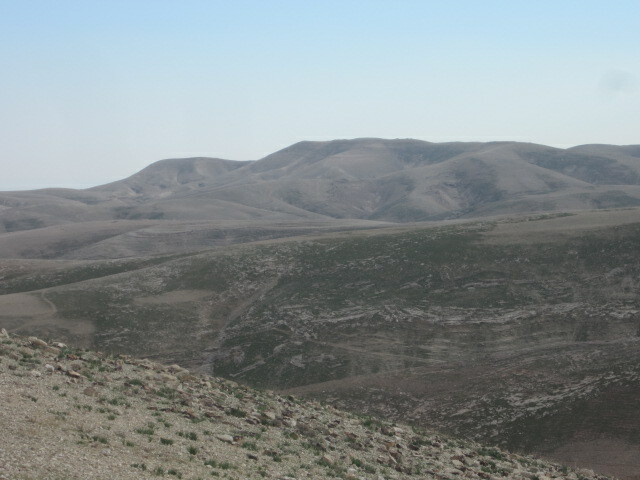 We are based in Maaleh Adumim in the amazing Judean desert. We are 20 minutes from Jerusalem. While many participants do have previous experience this is not required. You might ask how can beginners and advanced students train together? Well, they can and when you arrive you will see how this works our very successfully and each participant gets exactly what they need. Each person is teamed up with an appropriate partner under our careful supervision. No special fitness level is required other than basic good health. Krav Maga is designed for regular people, not only Olympic athletes. If you need to take a break you can do so at any time. If you need a day off you are certainly allowed. Can I Test for Rank? All participants can test for rank. IKI members can also test for instructor ranks. In order to test for instructor one must be a member of IKI. You will receive several certificates: Tour and Train participation certificate, Counter Terror course certificate and any other courses you chose to participate in, as well as potential rank diplomas. Note: Belt tests are an extra fee. $400 deposit and registration fee. Non - Refundable. This is a processing fee and reserves your spot. This covers us for our time, effort, and expense in the event the participant does not show up. If the participant does show this counts towards the cost of the course. What about Housing, airport pickup etc?? Once you register and book your flight - you are all set. We do the rest. We can arrange for you: housing, airport pickup and drop off, shopping, money changing at the best rates, restaurants, wifi, air-conditioning, laundry and any issues that may pop up. We are your Israel connection. You should book your flight to land at Ben Gurion International airport. The code is TLV. Tips: Do not arrive in military style fatigues. Do not travel to Arab countries before arriving in Israel. Be polite at all times. Can my spouse join us and not participate in the training, only in the touring? What is the Best Way to Prepare Myself for the Trip. One excellent way is to join our Krav on line distance program. This way you will receive many video clips and will arrive with a better idea of the techniques. Thus they will appear more familiar to you. In addition you will receive a $100 discount for the Tour and Train course. Purchasing the DVDs is also an excellent way to prepare for the training. To prepare for the touring part it is advisable to read the book, "Israel: A Nation of Warriors"
IKI is a smoke free environment. Our hosts have made it clear that no smoking is allowed on their premises. If you are a smoker please refrain while you are here, or find a place far away so that it does not affect others. Krav Maga Tour and Train Registration.